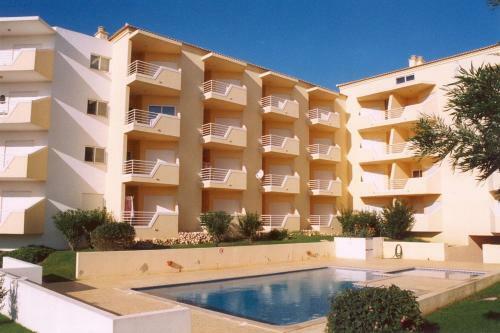 This 4-star aparthotel in Alvôr, Algarve is a short walk from Alvor beach. It has indoor and outdoor pools, a Turkish bath and massage services. Free parking is available onsite. 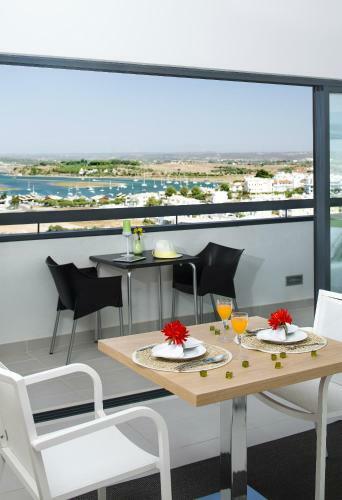 Just 100 metres from Alvor’s beach, Luna Alvor Bay offers air-conditioned studios with a kitchenette and a furnished balcony. It features an outdoor pool with a terrace. The studios have a modern décor with natural colours and wooden furniture. Featuring free WiFi throughout the property, Alvor Ardemar is situated in Alvor, 700 metres from Alvor Beach. Guests can enjoy the on-site bar. Situated in the heart of Alvor, 1 km away from Três Irmãos Beach, Quinta da Amoreira offers self-catering apartments with a private balcony. It features an outdoor pool and barbecue facilities. Apartment on the beach by amcf is a self-catering 2-bedroom apartment located in Alvor, 280 metres from Três Irmãos Beach. It includes a balcony with a table and chairs.